Rebecca Spelz, 25, was arrested early Saturday morning and charged with aggravated battery, police said. CHICAGO — A 25-year-old woman has been arrested and charged in a stabbing that left another woman in serious condition last week outside the Jefferson Park Transit Center, police said. 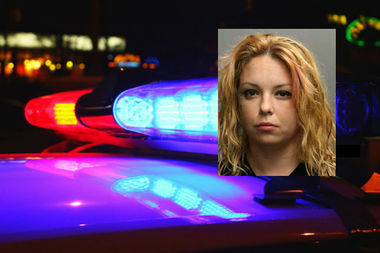 Rebecca Spelz, of the 3100 block of West Ainslie Street, was arrested around 3:15 a.m. Saturday in the 4800 block of North Milwaukee Avenue, according to a Chicago Police spokesman. She was charged with aggravated battery. Around 12:50 a.m. last Thursday, Spelz used a 4-inch pocket knife to stab a 39-year-old woman in her chest near the transit center bus terminal, prosecutors alleged. The woman was taken to Lutheran General Hospital, where she was listed in serious condition, police said. Court records show a lengthy criminal history for Spelz dating back to 2009, when she pleaded guilt in possession of a stolen car. She's since been convicted on charges including robbery of a handicapped victim, aggravated battery in a public place and retail theft. Spelz is being held without bail while she awaits trial, according to court records.